WOD on the Waves is a healthy cruise with a CrossFit affinity. As to be expected, WOD on the Waves is fairly expensive. The cheapest option is $575 for one person, where you’ll be sharing a room with three other people, and the most expensive option is $5,198 which will reserve you a shwanky owner’s suite for one person. And there are a lot of options in-between, depending on your price point. You can check out them all here. It’s worth noting that between now and Nov. 1, you can get a $200 credit for referring a friend, and they get $200 off of their room rate. WOD on the Waves will essentially be like a huge CrossFit expo that takes place on a cruise ship, with between 3,000 and 4,000 CrossFitters expected to join in the fun. That said, this cruise isn’t exclusively for CrossFitters, families and kids are more than welcome on the boat — even if they’re more of the low-impact workout-types — for this group, just think of it as a healthier cruise with some unique people-watching opportunities. 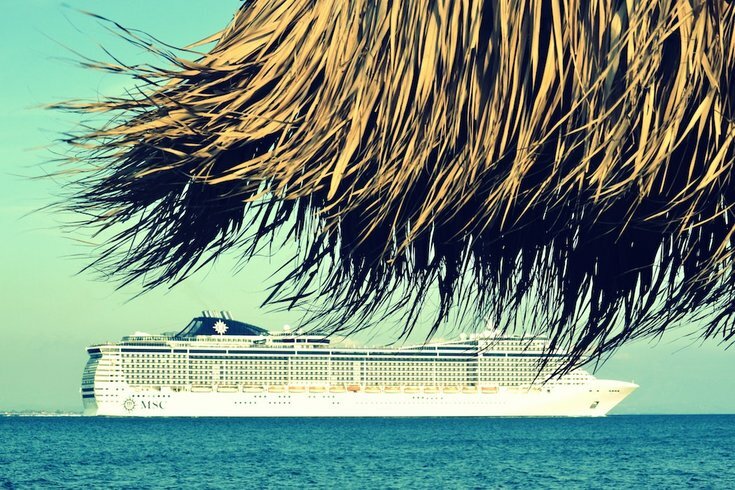 I bet no one will be coming back with a vacation gut after this cruise! For more information and to get on board with the fun, check out the WOD on the Waves website.